Forever Sweet Bakery created blizzard-themed cupcakes during the storm this weekend. Feb. 11, 2013, New Canaan, Conn. While the weekend's blizzard might have been bad for many businesses, Forever Sweet Bakery used the storm as inspiration for a new cupcake design. 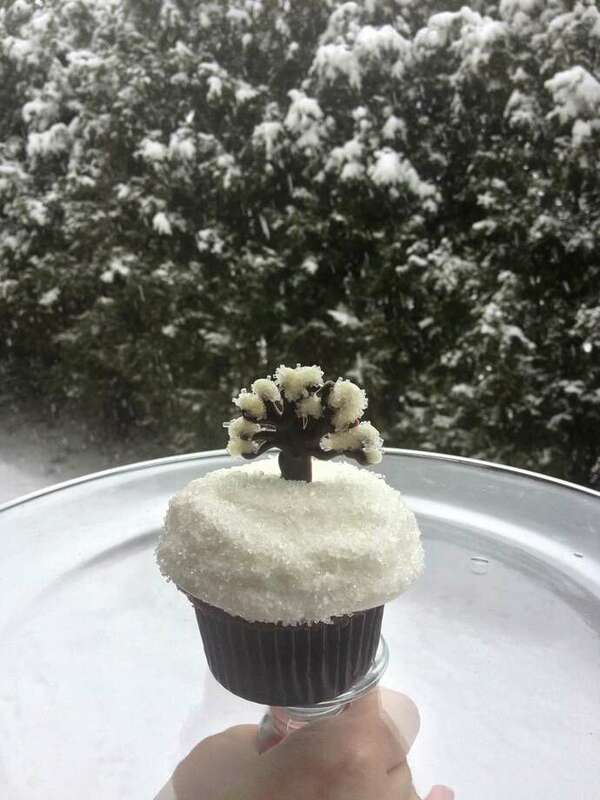 Frances Mercede, owner and chef of the company, made a dozen cupcakes with white frosting and white sprinkles topped with a chocolate tree with white snow icing. She also made a cupcake with a Nemo figure made out of fondant, which she said took an hour to make. Stamford-based Forever Sweet Bakery does catering and its goods can be found at Joe's Pizza at 23 Locust Ave. in New Canaan.